Produktinformationen "Marvin Test Solutions: MV-GX6864: GENASYS 75 Ohm RF Multiplexer Switch Card, (4) 2 x 16 Multiplexers"
A component of the GENASYS switching subsystem, the Marvin Test MV-GX6864 switch card is one of several different switch cards which can be used with the GENASYS switching subsystem. The MV-GX6864 features (4) 16 x 2, 75 ohm RF multiplexers / matrices with a bandwidth of 500 MHz, making them ideal for video switching applications. Like other GENASYS switch cards, the MV-GX6864 is compatible with the MAC Panel 6U SCOUT receiver and offers "cable-lessâ€ connection to the receiver connectors - eliminating the need for cable harnesses and the associated reliability issues that come with cabled solutions. The result is a system interconnect design that is cost effective, reliable, and maintainable. The Marvin Test MV-GX6864 consists of (4), 2 x 16, 75 Î© RF switch configurations that can be used as multiplexers or matrices. 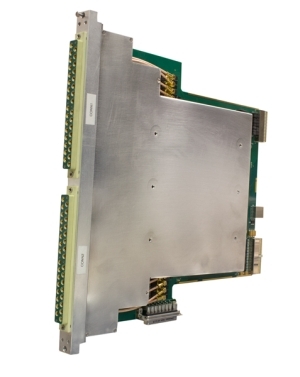 The switch card is an extended 6U PXI module with direct connection to the receiver interface. The inputs to the switch multiplexers are accessed via dedicated external connectors located on the switch module. Additional connections are provided to the GENASYS' internal 16 wire bus for low frequency and self test applications. Weiterführende Links zu "Marvin Test Solutions: MV-GX6864: GENASYS 75 Ohm RF Multiplexer Switch Card, (4) 2 x 16 Multiplexers"